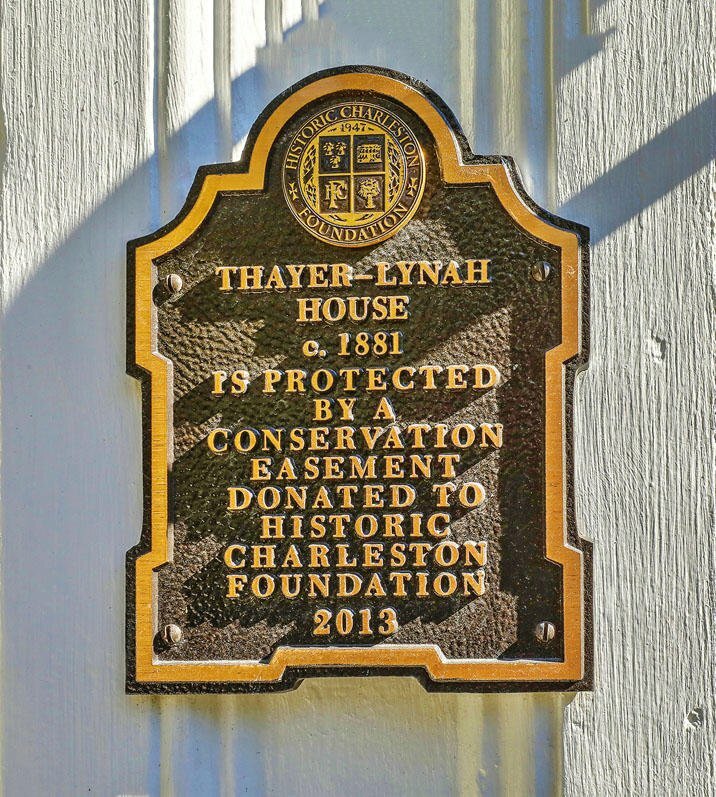 The Thayer-Lynah House, c. 1881, as featured in The Buildings of Charleston.This impeccably-maintained home exudes the charm and grace of the grand estates in historic downtown Charleston. 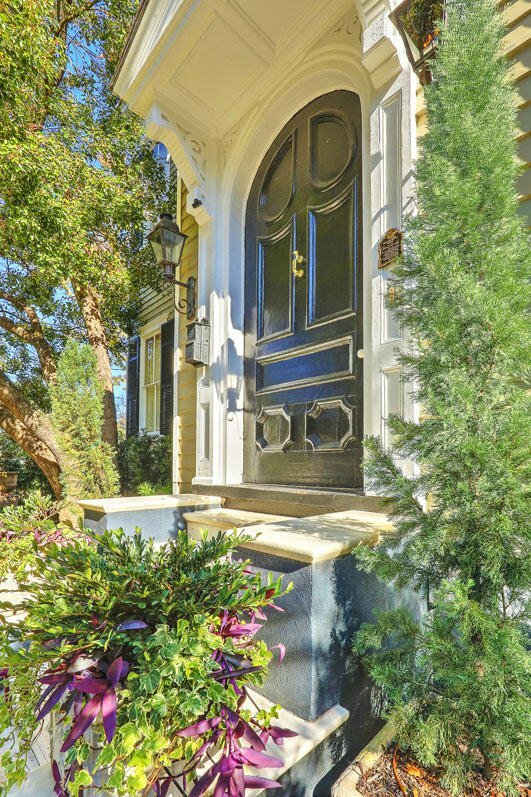 An imposing 11' curved wooden front door is surrounded by gas lamps and leads into the expansive entry hall. 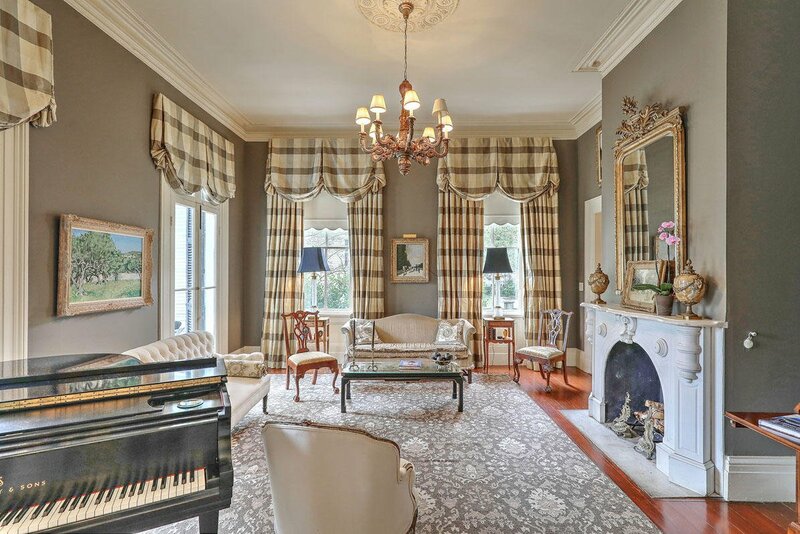 To the right, dramatic double formal parlors, each with marble fireplaces, are separated by pocket doors. 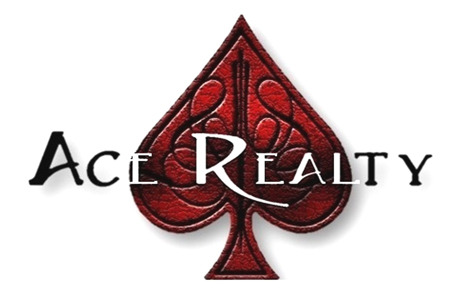 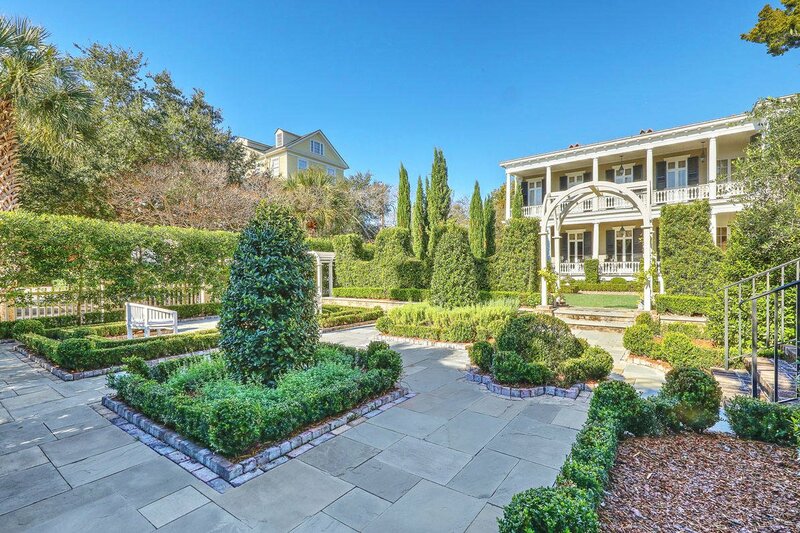 They boast original heart pine hardwood floors, 14'-ceilings and extensive architectural moldings including ceiling medallions. 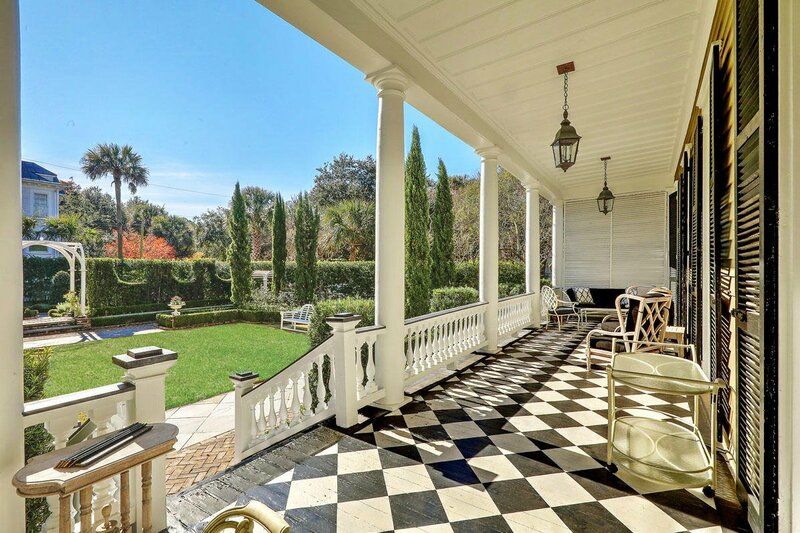 Two sets of glass doors in each room open to the side piazza, with a distinctive black and white checkerboard painted floor. 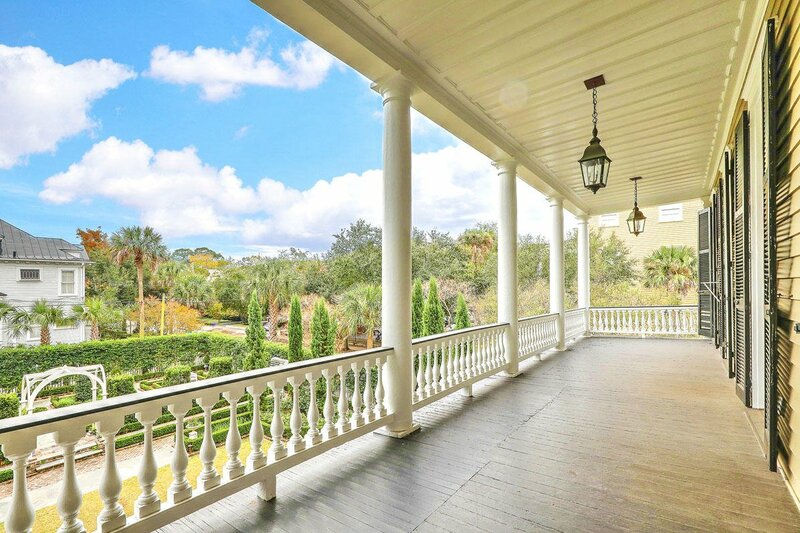 Surrounded by stately columns, this porch adds significant outdoor living and dining space. 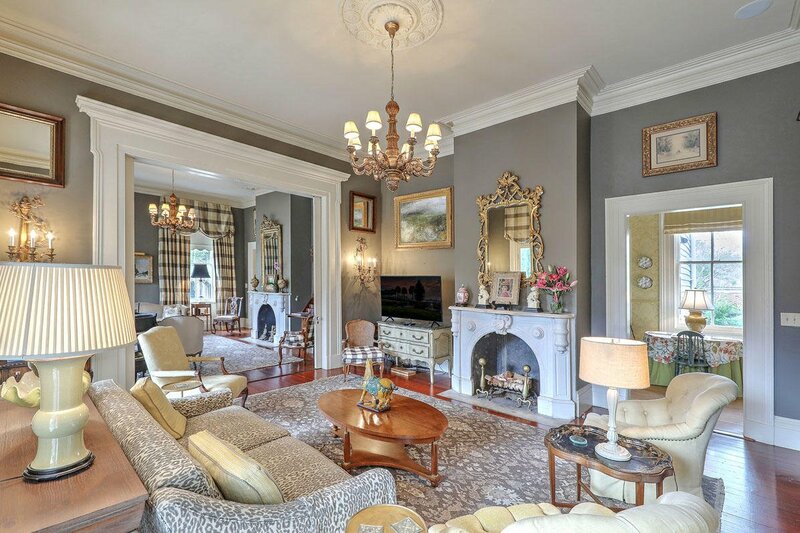 Behind the formal living rooms is a cozy, masculine study or office with another fireplace. 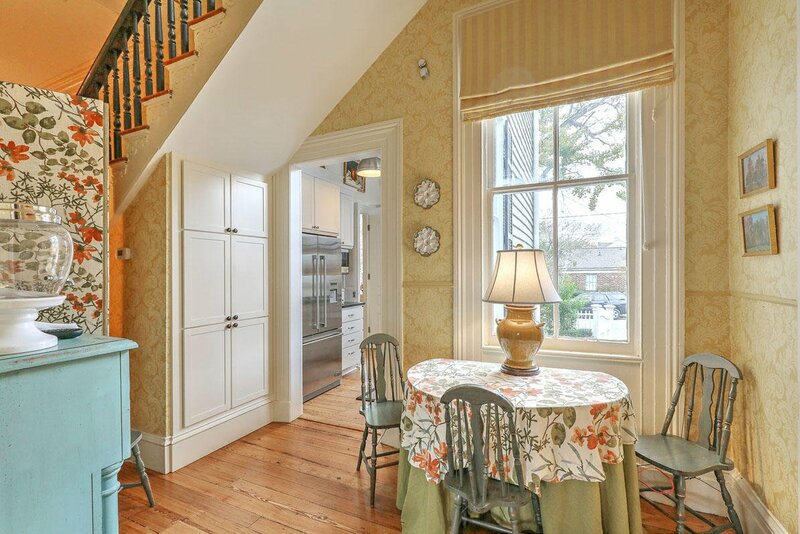 A breakfast room has been created at the back of the hall behind the stairs, connecting to the modern galley kitchen. 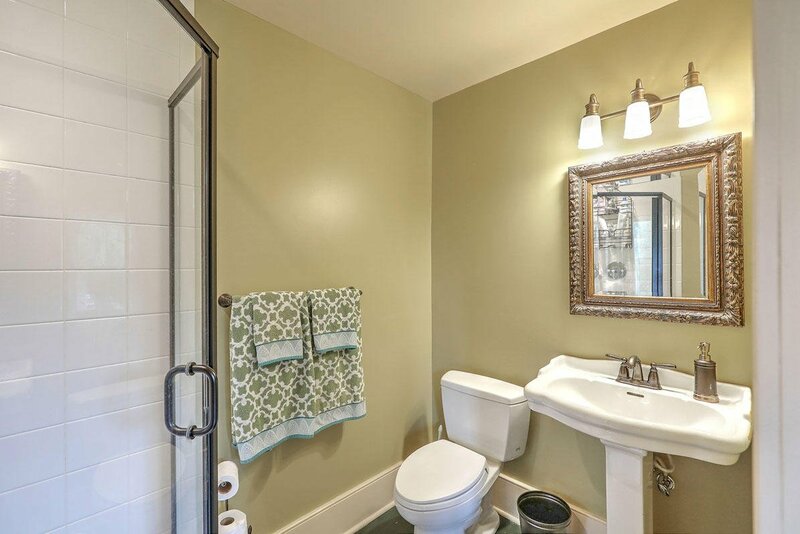 It has been updated with black granite countertops, white cabinets and stainless steel appliances. 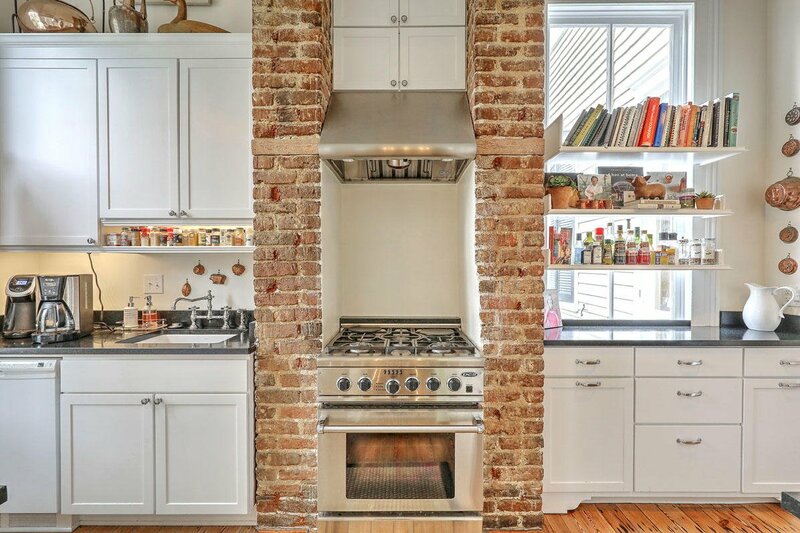 The 5-burner gas stove occupies a former fireplace and is surrounded by its bricks. 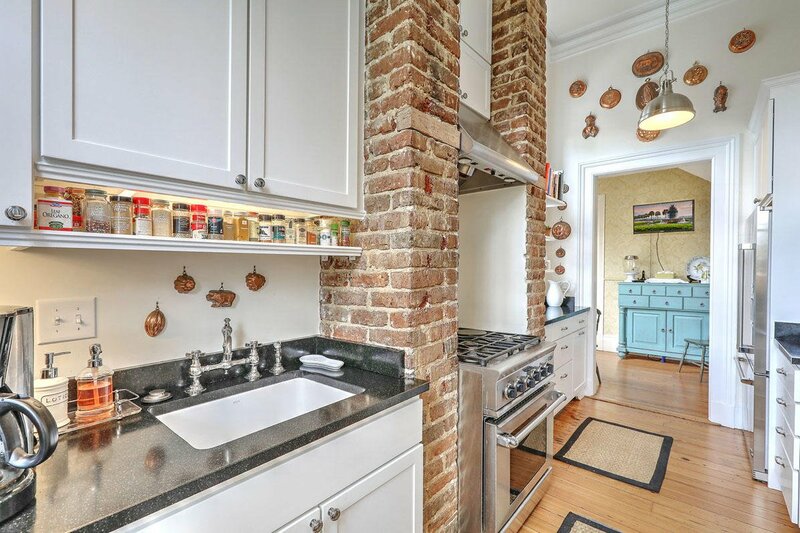 A pantry and storage space with room for an additional refrigerator lead to the back door and coveted-off street parking along the home's Bull Street entrance. 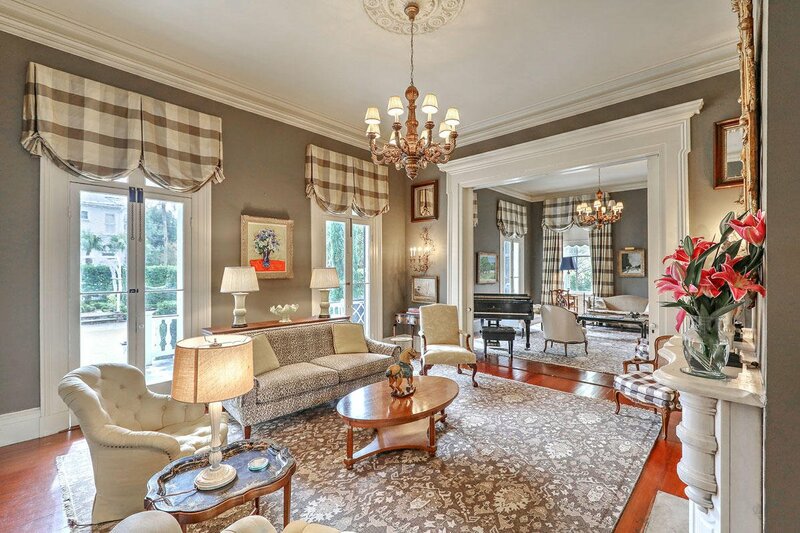 An elegant formal dining room is to the right side of the entry hall and features yet another black marble fireplace. 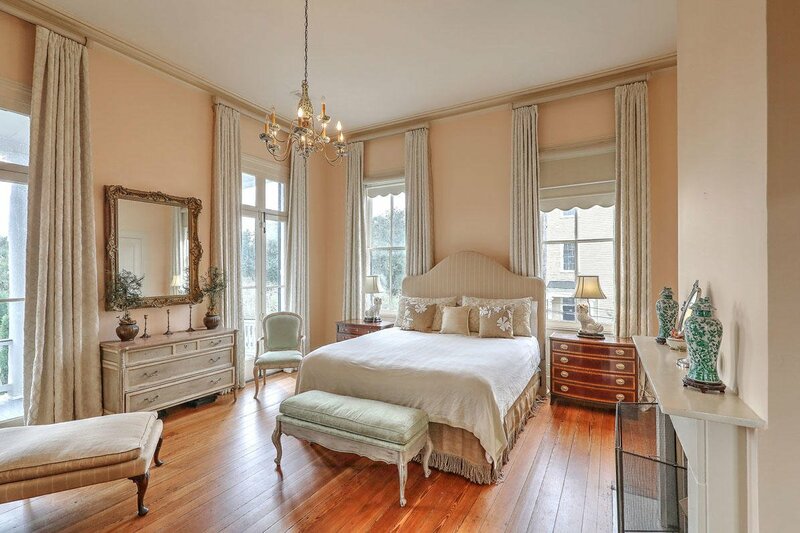 A bedroom (which also accesses the piazza) and full bath complete the first floor. 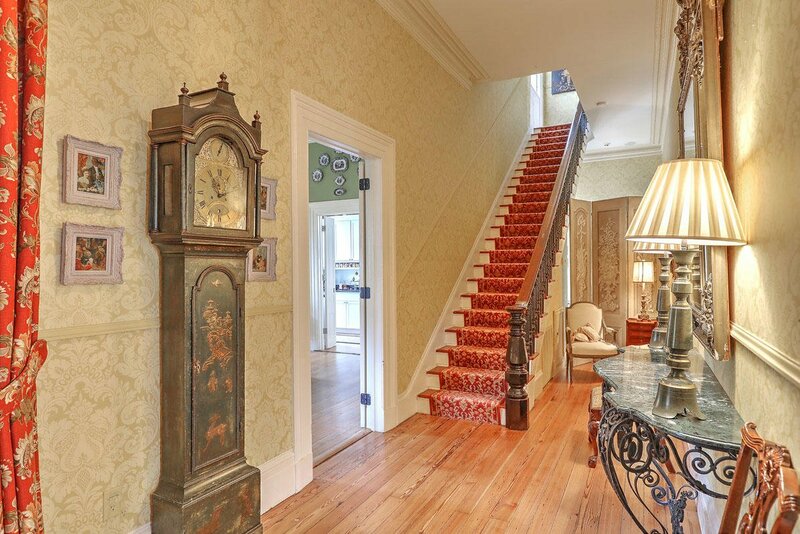 Up the intricately-detailed staircase are an additional 3 bedrooms and 3 full baths. 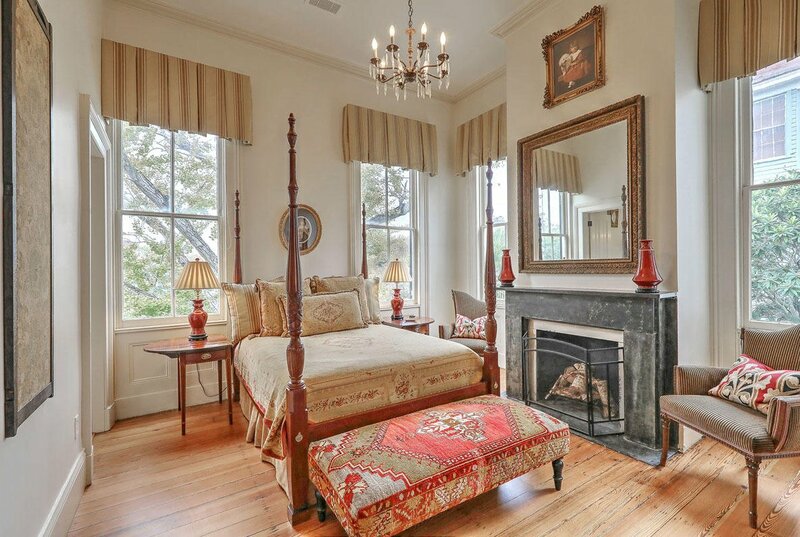 The luxurious master bedroom features a fireplace and 2 sets of glass doors leading to the 2nd floor piazza. 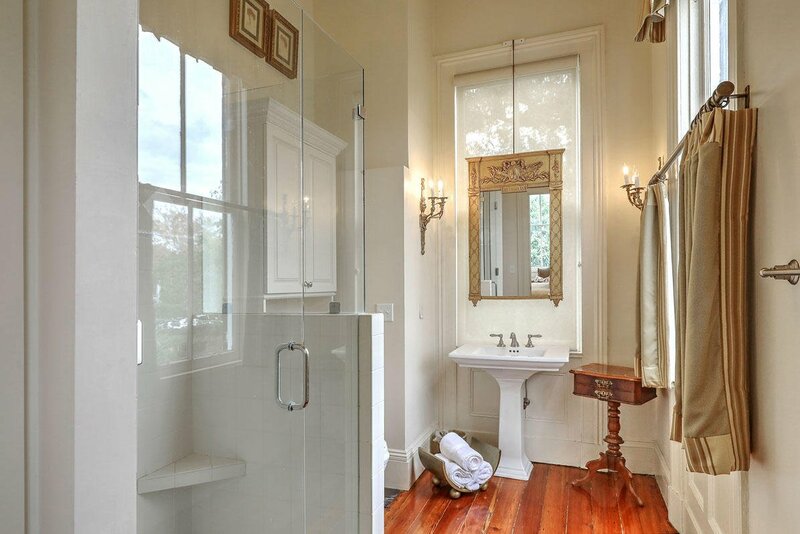 The master bathroom includes a vanity area with dual sinks and claw foot tub, plus yet another fireplace. 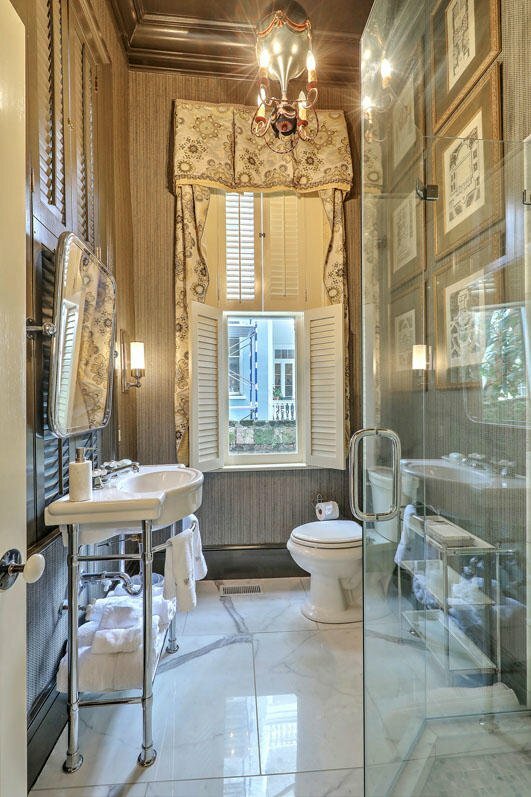 A separate room accommodates the shower and commode. 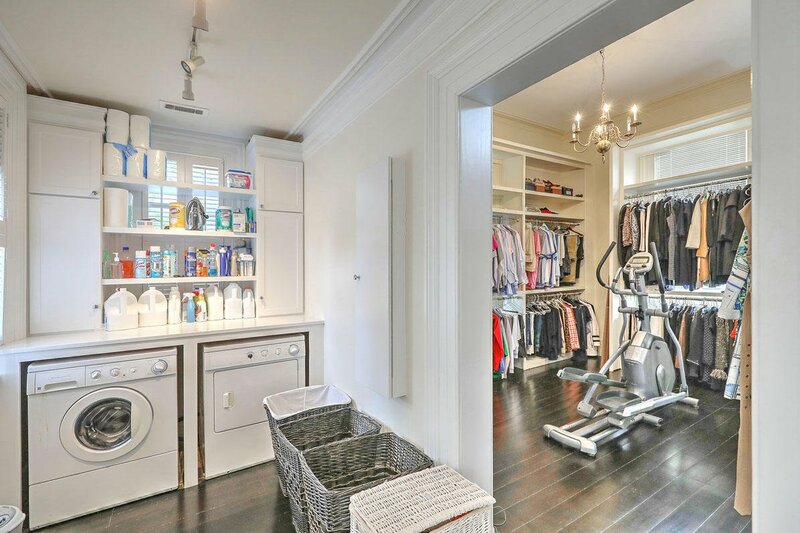 A massive room-sized walk-in closet and full-sized laundry room finish the master suite. 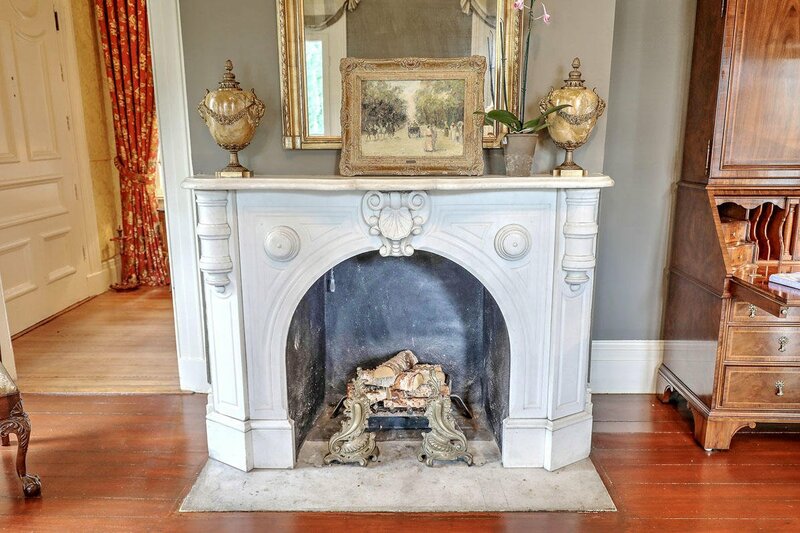 There two additional bedrooms, each with fireplaces (totaling 9 throughout the main house). 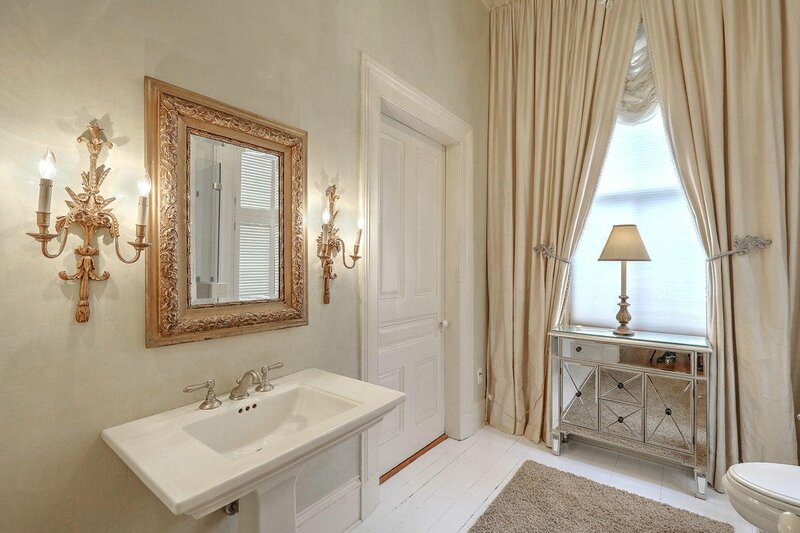 One accesses the piazza and connects to a full hall bath. 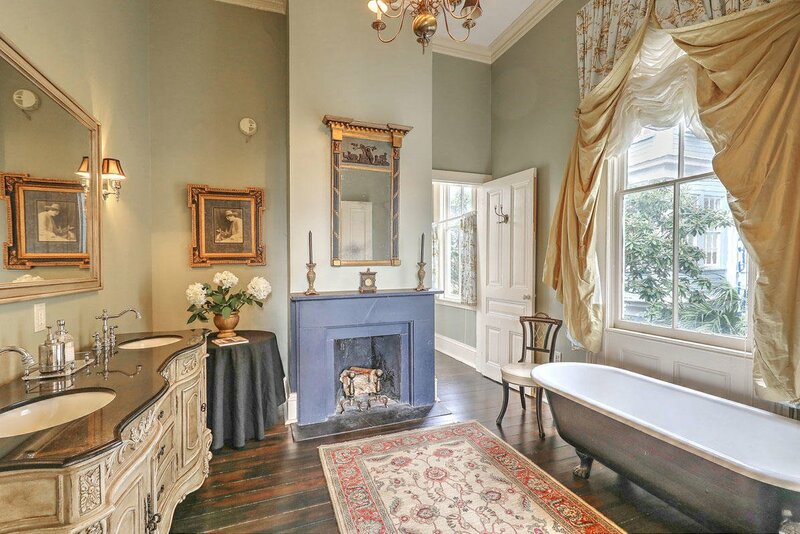 The other has an en-suite bath. 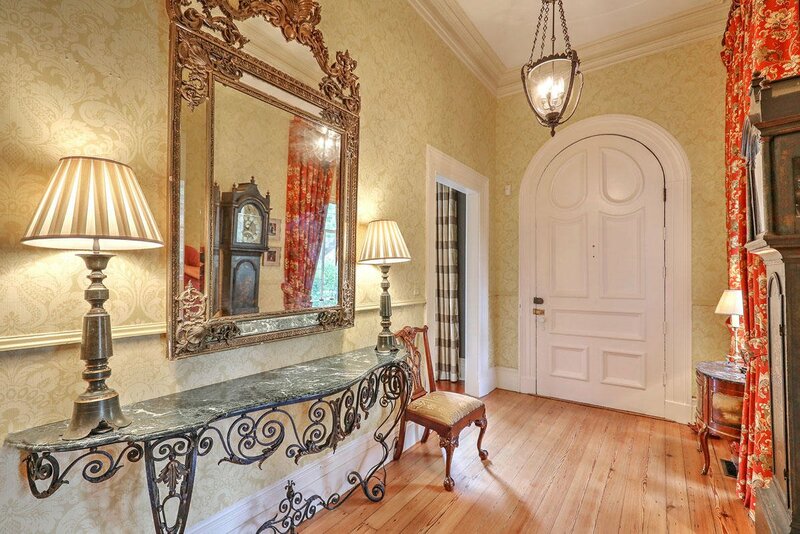 They share a large hall walk-in closet. 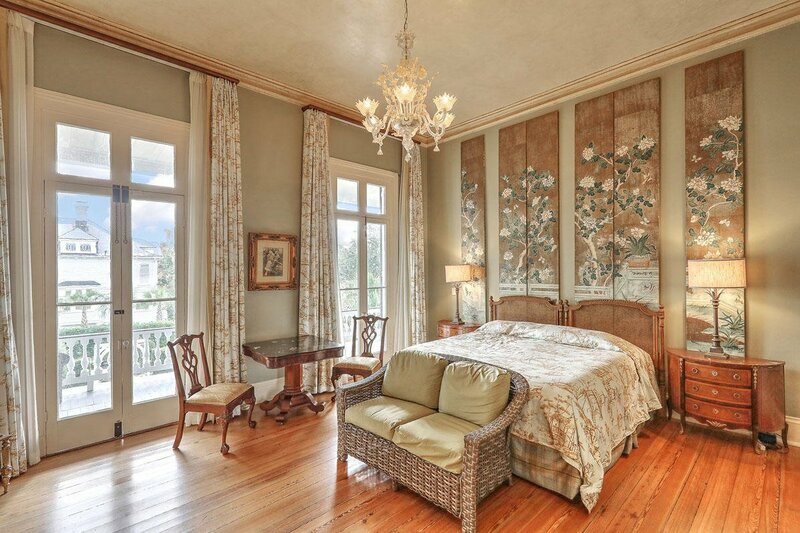 All rooms are on a grand scale with tall ceilings and surrounded by multiple 4 over 4 windows. 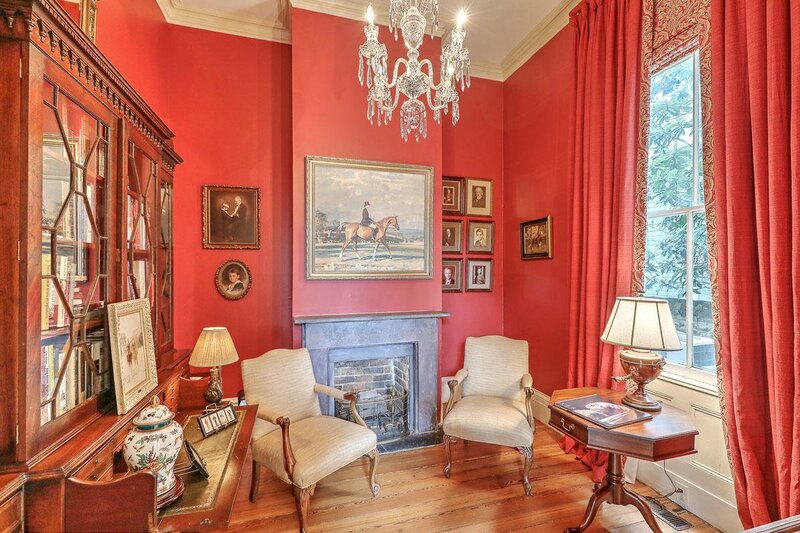 The entire home is painted in period-appropriate colors that also function perfectly with today's decorating aesthetic. 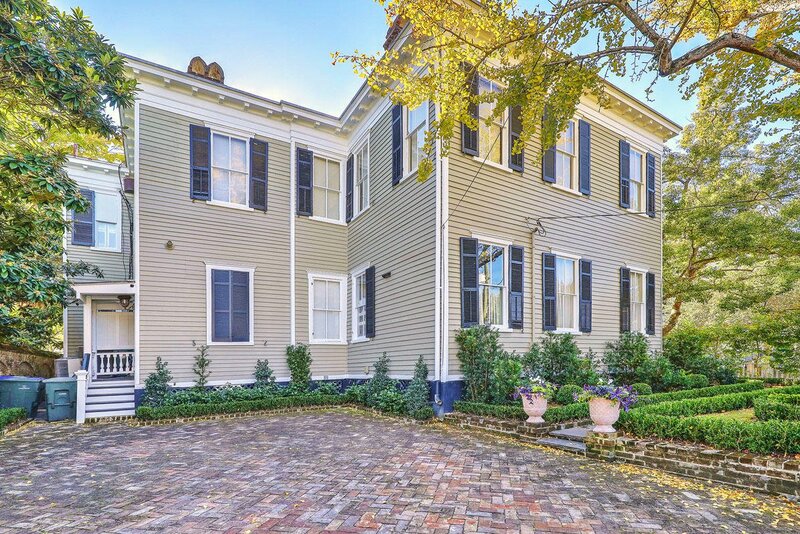 The uncommonly large lot stretches along Ashley Avenue from Bull Street south to Wasbee Lane. 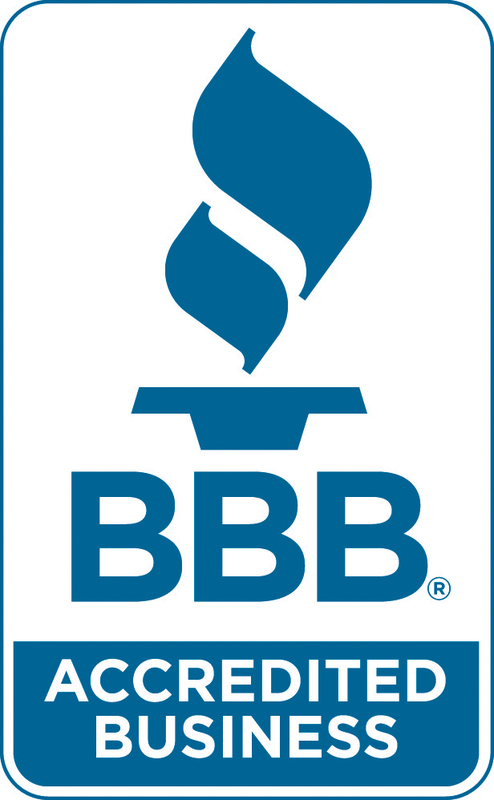 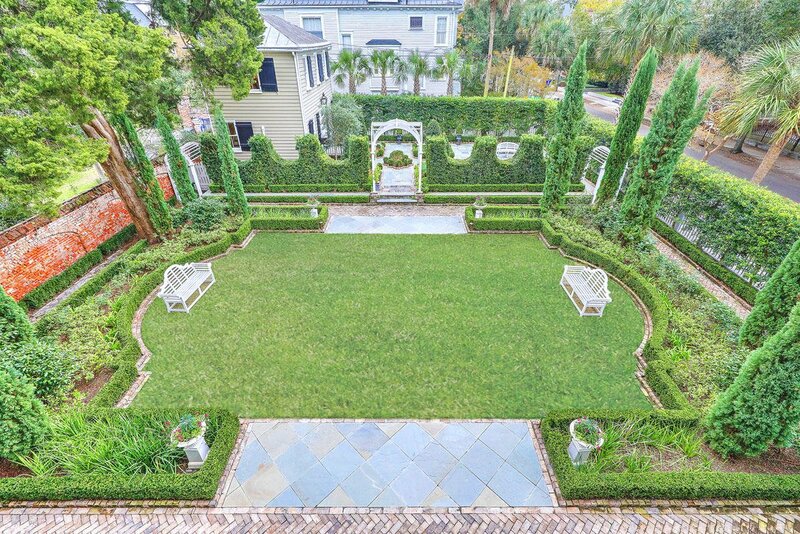 It is landscaped with beautiful, manicured formal gardens by E. Gaillard Johnson. 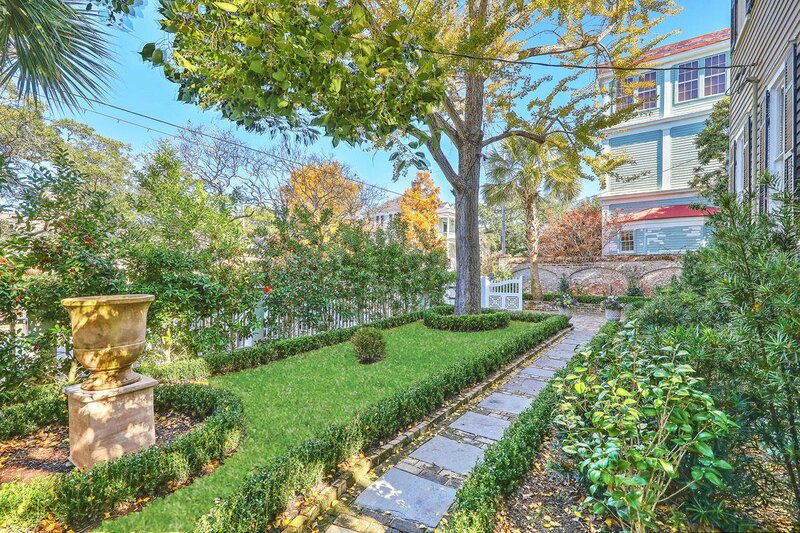 Brick and slate pathways meander through trellised arbors. 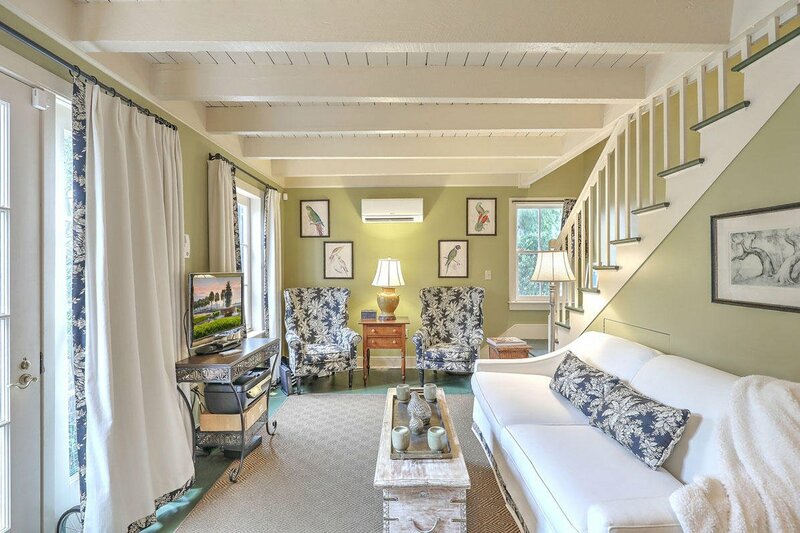 A broad, grassy garden room is perfect to outfit for outdoor parties or has plentiful space for a pool. 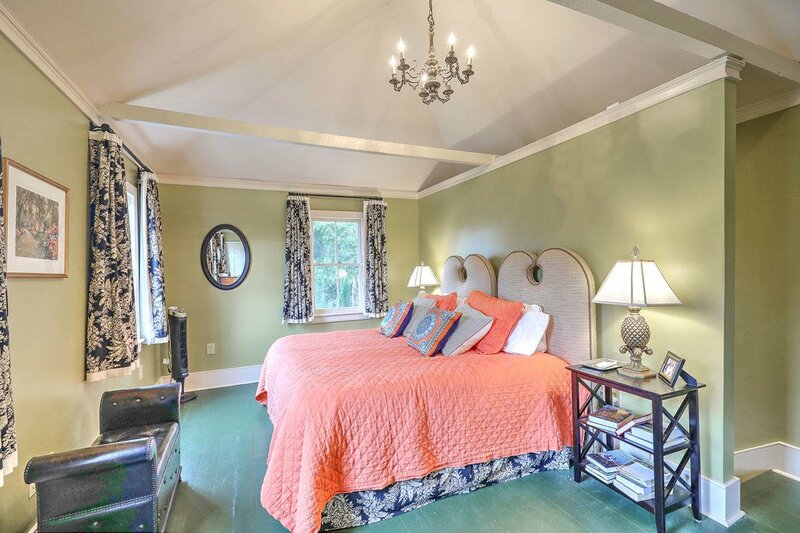 A carriage house is situated to the southeast of the property and has been renovated into guest quarters. 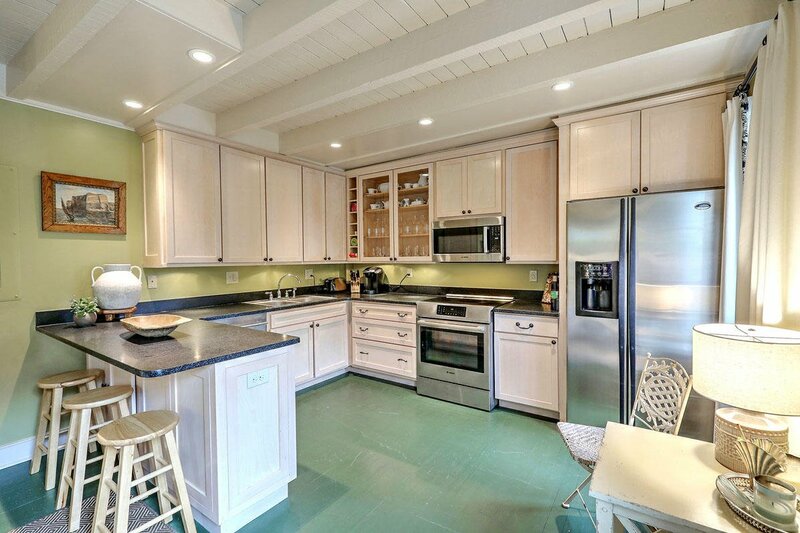 The downstairs living room and full kitchen feature an open-beamed ceiling. 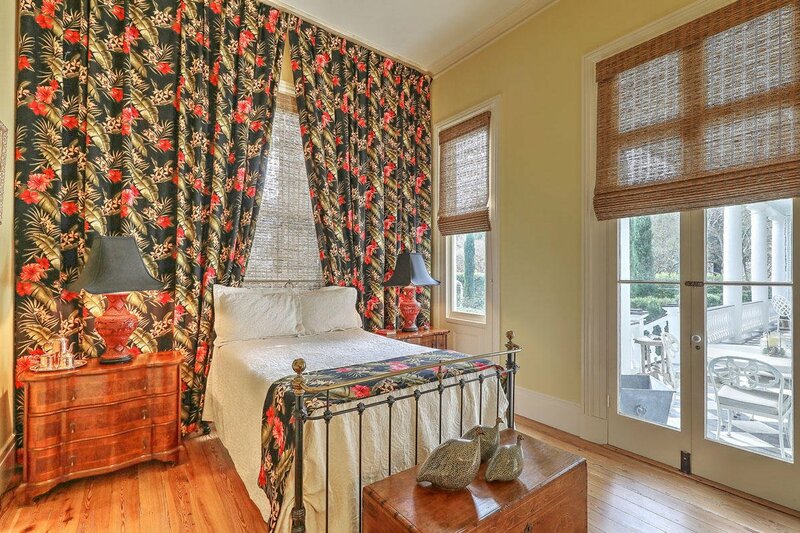 Upstairs is a bedroom with a vaulted ceiling, full bath and stacked laundry closet The house was fully renovated by Richard Marks Restorations, who has conserved such notable structures as Drayton Hall, the Aiken-Rhett House and the Fireproof Building, in addition to other private residences. 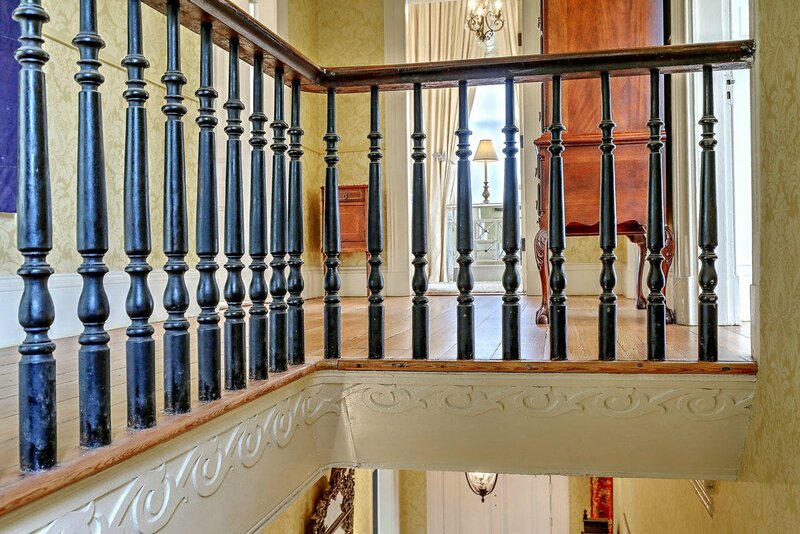 It takes its place amongst the grand homes of Harleston Village. 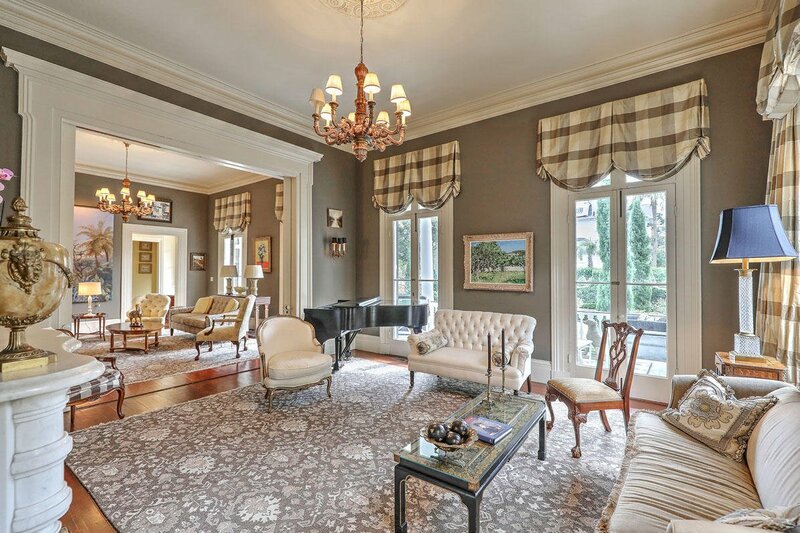 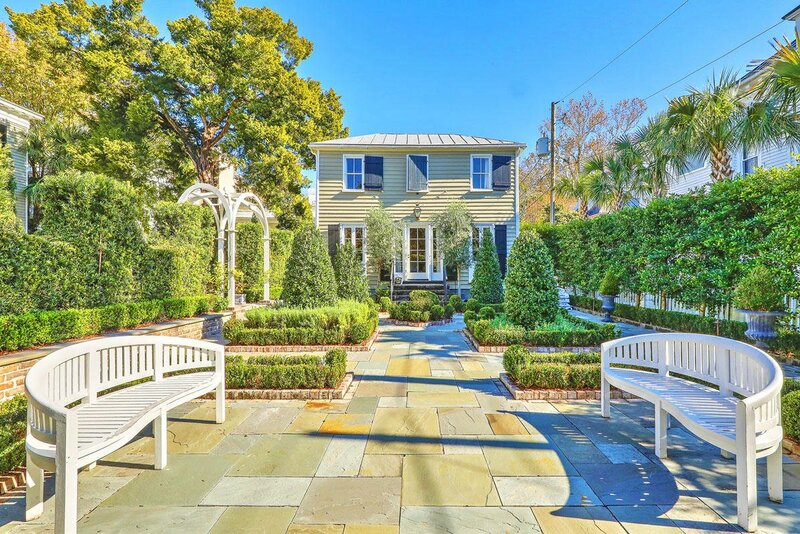 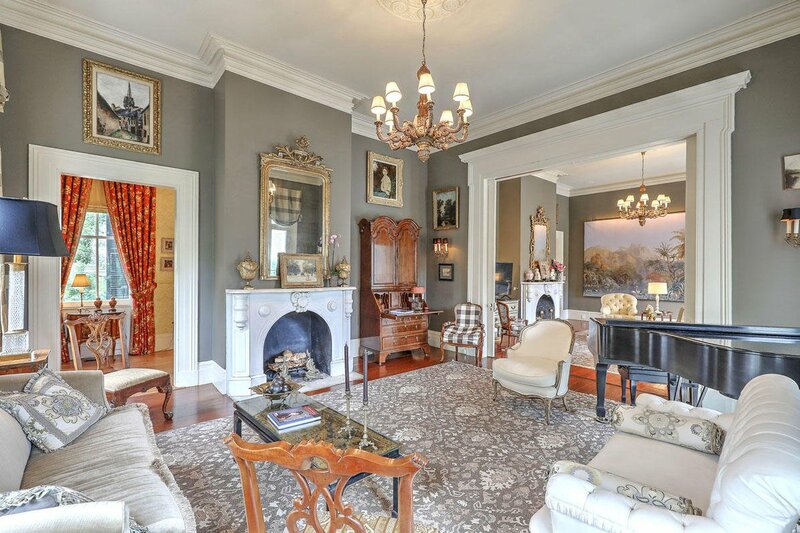 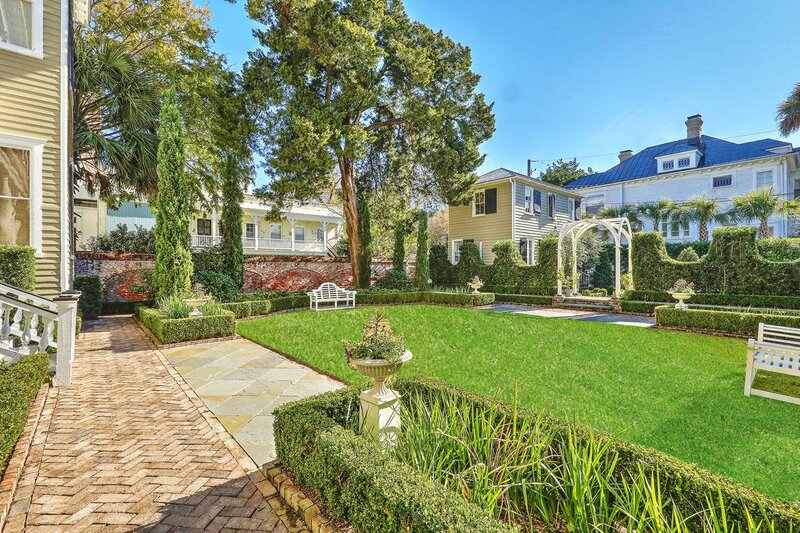 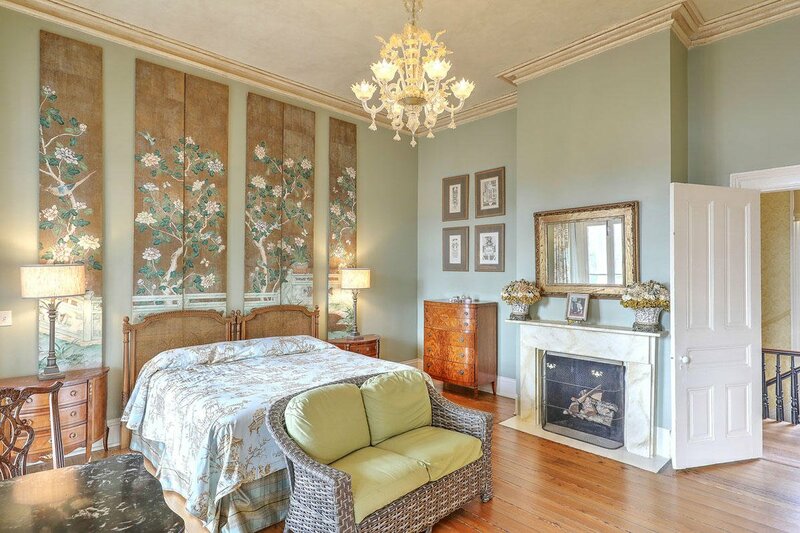 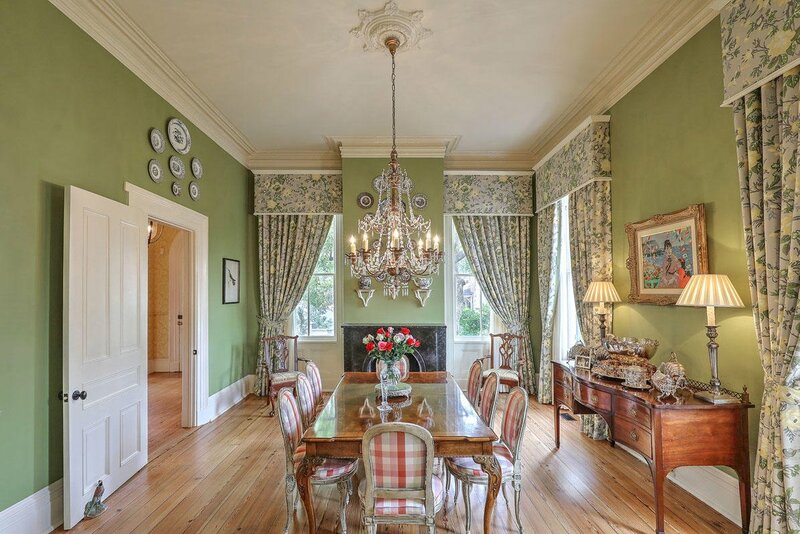 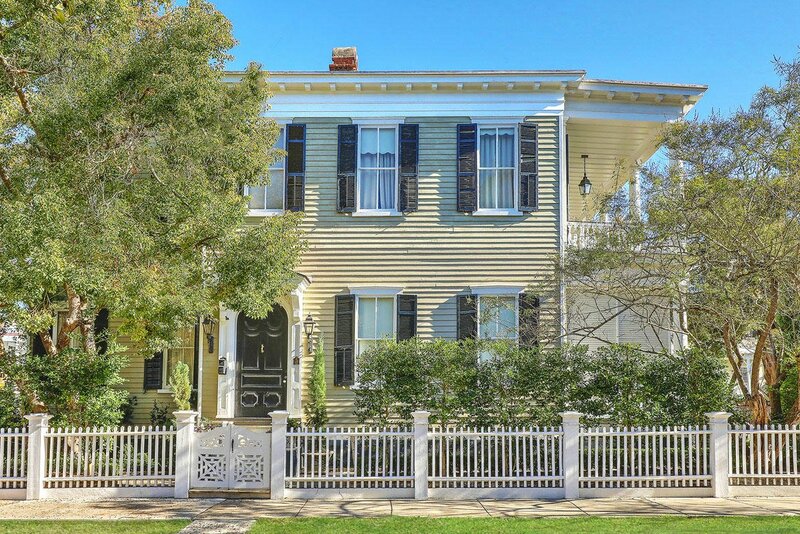 Enjoy the ultimate in genteel downtown Charleston living and entertaining at 110 Ashley Avenue.